Mommy for the third time? 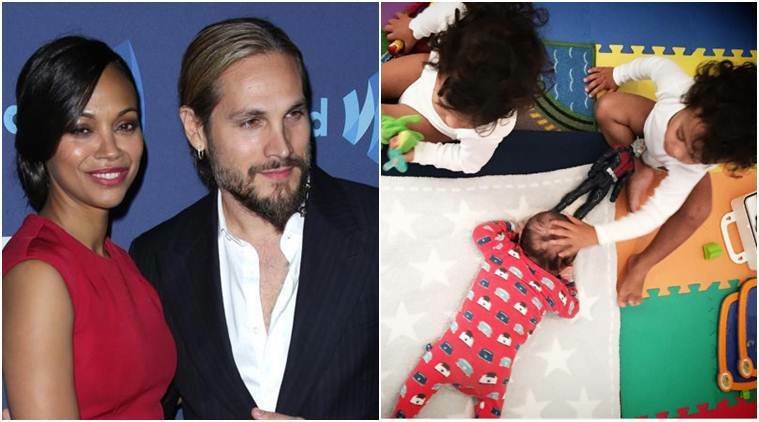 Zoe Saldana and her husband, Marco Perego, are parents for the third time. The 38-years-old actress surprised fans by sharing the news on Instagram. “Marco and I are elated to share the news of the birth of our son Zen,” she wrote in the photo caption, where Zen is with his brothers, the two years old twins, Cy and Bowie, “We couldn’t feel more blessed with the new addition to our family. #threeboys… oh boy!”. The news caused a huge surprise in Hollywood, as the actress did not appear to be pregnant at recent public events in which she participated, intensifying rumors that she may have resorted to a surrogate. It is recalled that Zoe and Marco have been married since June 2013.